If you suffer from cystic acne then you already know exactly what it is and just how painful a condition it is, so we won’t bother to bore you with those details. What we will do, however, is offer you some real and effective natural treatments and home remedies that are guaranteed to finally get rid of your cystic acne for good! But before we go any further, there is one important caveat. Like any treatment, if you want it to be successful then you're going to have to be willing to put in the necessary time and effort. If you do we guarantee you'll see some astonishing results. Unfortunately, if you don’t, you'll simply be wasting much of your time and hard earn't money. What are Your Treatment Options for Acne? The most common medical treatments for cystic acne are Differin cream, cortisone injections or the drug Accutane. All of these come with harmful side effects. Differin cream can cause severe allergic reactions including hives, itching, rash, difficulty breathing, tightness in the chest, swelling of the mouth, face, lips or tongue, burning, blistering, redness and peeling of the skin. Cortisone suppresses the immune system and increases the rate of diabetes, along with leaching valuable minerals from the body. Not a very nice bunch of side effects there? On the positive side, the natural remedies we're about to discuss come with zero side effects. And best of all, you'll also be the healthiest and feel the best energetically that you’ve felt in a long time! The reason why most home treatments for cystic acne don’t work is simple. They focus primarily on topical treatments, when the root cause is actually an internal problem. Yes, topical treatments will definitely help, but if you want to cure your cystic acne for good you'll need to repair the internal damage that’s causing the problem in the first place. Cereal grasses and Digestive Herbal Fibre Formulas: The main cause of all forms of acne is a poorly functioning digestive system. So the first thing you need to do is get this working at an optimum level. Cereal grasses and herbal fibre formulas are extremely powerful detoxifiers and cleansers. They also contain valuable enzymes to help with digestion and assimilation, as well as nutrients and antioxidants to cleanse, repair and regenerate the body. Make sure you only ever buy certified organic cereal grasses and formulas (such as these) that are grown in mineral rich soils. NOTE: Be aware that the first week on these supplements can be a bit uncomfortable for some people. Because you'll be detoxifying the body you may experience mild discomforts such as lack of energy, diarrhea, bloating, slight rash, or even an initial worsening of your cystic acne. The important thing is to stick with it. 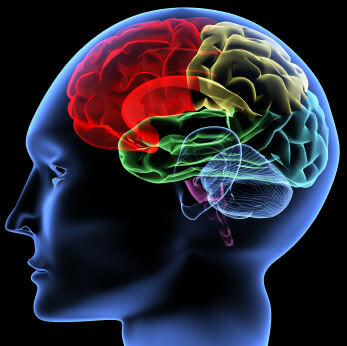 The long term benefits will far outweigh any short term discomfort that you may experience. Probiotics, Apple Cider Vinegar (ACV) and Olive Leaf Extract: Maintaining a healthy supply of “friendly” bacteria and killing off all parasites in the digestive system is absolutely crucial to the internal health of the body and the final destruction of your cystic acne. Without enough friendly bacteria the bad bacteria go on a rampage... at your expense! The result is a poor functioning digestive system and major health problems, including various skin disorders such as acne. Nasty parasites including worms and various viruses and protozoa's also grow and reside in the body over time. If these "nasties" are not killed off they eventually wreak havoc on your insides. New research coming out is beginning to finally confirm what many skin experts have believed for a long time... internal parasite overload contributes significantly to skin problems such as acne, psoriasis and eczema. So in regards to these, there are three significant things you need to do. Firstly, go out and buy yourself a high quality and reputable probiotic supplement from your local health food store or online and drink lots of organic apple cider vinegar everyday. ACV kills parasites in the body and helps to recolonize the digestive system with good "friendly" bacteria. In addition, eat and drink plenty of fermented foods such as sauerkraut, kefir, kimchi, kombucha, etc, for an extra supply of probiotics (you can never have enough of these amazing foods) and take olive leaf extract everyday (OLE). Olive leaf extract is the most powerful natural parasite killer yet discovered! Oh, and don’t bother taking any gimmick probiotic supplements such as Yakult. These worthless products are full of processed milk and sugar (both of which are bad for anyone with cystic acne) so avoid them like the plague! If you want more information on ways to easily make your own fermented foods at home, be sure to check out this handy website... Cultures for Health. It’s interesting to discover that the Canadian Eskimos never suffer from acne. Only when they migrate to countries like America and adopt the standard “westernized” diet do they get acne. This tells us two things. Number one… the standard westernized diet is bad for you (what a revelation! ), and two, Eskimos eat plenty of oily cold water fish. Evening primrose oil and fish oil contain gamma-linolenic acid, which is needed by the skin to cleanse, repair and regenerate the cells. They also help reduce inflammation and keep the hormones that activate oil production in the skin under control. This makes them potent and essential treatments in the fight against cystic acne. In addition, results have been found to be even more favourable when both are combined with zinc. 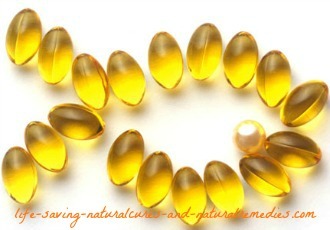 For best results, take a combination of both evening primrose oil and fish oil everyday rather than just one of these. This seems to work much better. You need to take around 5000 mg's of both the evening primrose oil and the fish oil everyday (yes, a combined total of 10,000 mg's per day) for maximum benefit. Once again, go with a reputable brand rather than a cheap brand. Recent analyses have found some of the cheaper brands contain more fillers and binders (and heavy metals) than the actual supplement they're supposed to contain. Vitamins and Minerals: This one is a definite no brainer. If you want to enjoy overall good health, treat your acne, and have nice looking skin then you must consume all of the essential vitamins and minerals everyday (you need a total of 76). Most importantly, you need to forget the ridiculous adage of... “You can get all the vitamins and minerals you need from your diet”. The truth is… you no longer can! There are no longer enough nutrients left in our foods anymore so you must supplement. To not do this is to play Russian roulette with your life! So be sure to find yourself a good liquid colloidal mineral supplement and stick with the cereal grasses every day to get all of the vitamins and minerals you need. In addition to these, many acne sufferers have found Lugol's liquid iodine to be an excellent treatment for their cystic acne (iodine is a powerful bacterial killer). You take it orally and also use it to wash and cleanse your face. The positive feedback from people using this supplement as an acne treatment has been stunning. Here's what it looks like if you're interested... Lugol's Liquid Iodine. Turmeric, Ginger and Boswellia: These three herbs possess extremely powerful anti-inflammatory properties and work by inhibiting the inflammatory chemicals in the body known as leukotrienes. Because cystic acne is also an inflammatory problem, turmeric, ginger and Boswellia will help immensely with this condition. 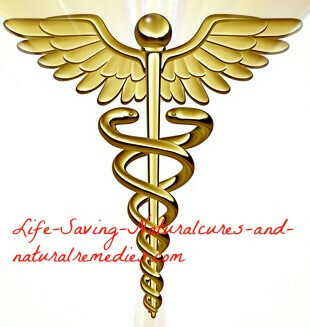 The natural remedies for cystic acne "do's and dont's" that are guaranteed to get rid of all forms of acne... for good! 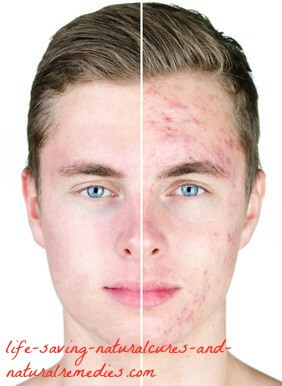 Sources and references for this article and all natural cures for cystic acne articles on this website include: buzzle.com, ayurvediccure.com, grandmashomeremedies.com, Sawyer, Troy, How to increase your energy- cure poor health and enjoy living longer, 2009.